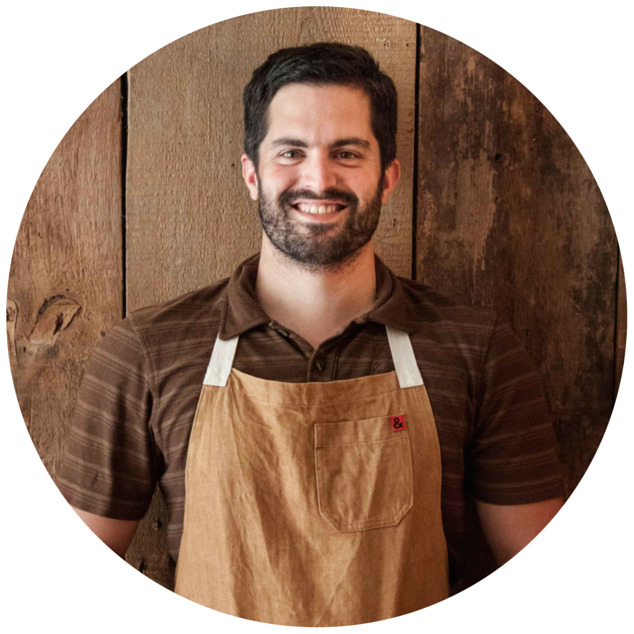 Join Chef Frank Giglio and team on Three Lily Farm in Midcoast Maine. Get immersed in the active, hands-on culinary centered weekend focused around traditional diets and seasonal eating. Arthur Haines is a forager, ancestral skills mentor, author, public speaker, and botanical researcher. He grew up in the western mountains of Maine, a rural area that was home to swift streams known for their trout fishing. He spent most of his childhood in the Sandy River Valley hiking, tracking, and foraging. Arthur now runs the Delta Institute of Natural History in Canton, Maine, where he teaches human ecology, focusing on the values of foraging, wildcrafting medicine, and primitive living skills. He continues to spend a great deal of his free time practicing his skills as a modern hunter-gatherer. As a research botanist for the New England Wildflower Society, he recently completed a comprehensive flora of the New England region entitled “Flora Novae Angliae” and has authored over twenty publications in peer-reviewed journals and books, including naming species of plants new to science. His series of YouTube videos has inspired thousands of people interested in foraging wild edible and medicinal plants. Learn more at www.arthurhaines.com.